Whether it’s simply taking a quick whiff of a calming essential oil before drifting off to sleep or mixing a few drops into your favorite body oil, aromatherapy can be a powerful complement to your other self-care practices. Here’s a practical guide to help you choose the right oils, based on what you need right now, from Candice Covington, an aromatherapist at the Chopra Center and author of the forthcoming book Essential Oils as Spiritual Practice: Working with Archetypes, the Chakras and the Five Great Elements. Lavender. The most versatile of all essential oils, lavender is a go-to oil for many ailments. It promotes a sense of inner peace and may even help you slip into a calmer state. Frankincense. This scent promotes a sense of comfort, feeling protected, emotional stability and being introspective. It also helps support an openness to states that are difficult. Clary Sage. If you’re dealing with any hormonal imbalances—whether due to pregnancy, menopause or your monthly menstrual cycle—clary sage can promote balance. Galangal. According to Ayurveda, this scent is a combination of earth and water, which gives rise to the energy of fertility. It promotes boldness and can help you follow your intuition. It also assists with focus and stamina, and brings a sense of ease when it comes to navigating whatever pops up. Vetiver. For times of unease or when you don’t feel grounded, turn to vetiver. It stimulates the root chakra because it helps you feel a sense of strength in self and promotes a mind-body connection. It also balances anxiety and intellectual fatigue, and even quiets irritation. Ylang Ylang. Use this essential oil to counteract negative states that threaten your calm, such as frustration, irritability, tension and overall stress. 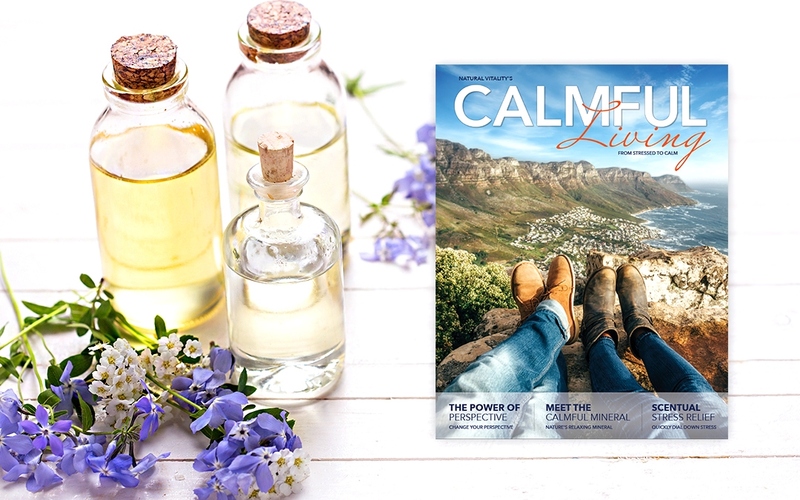 Download a FREE copy of the Calmful Living ebook here.